One of the most exciting parts of the OTG Experience is the opening of a new concept. 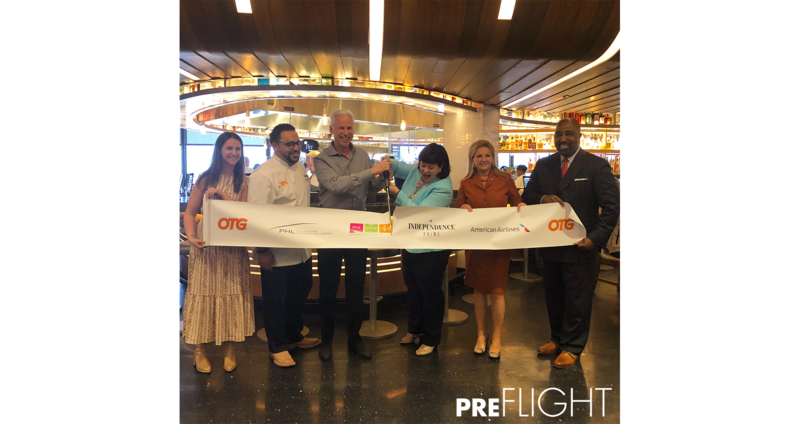 Months of preparation culminate in a new addition to the OTG family, creating the perfect relationship between dining, design and tech at the airport space. 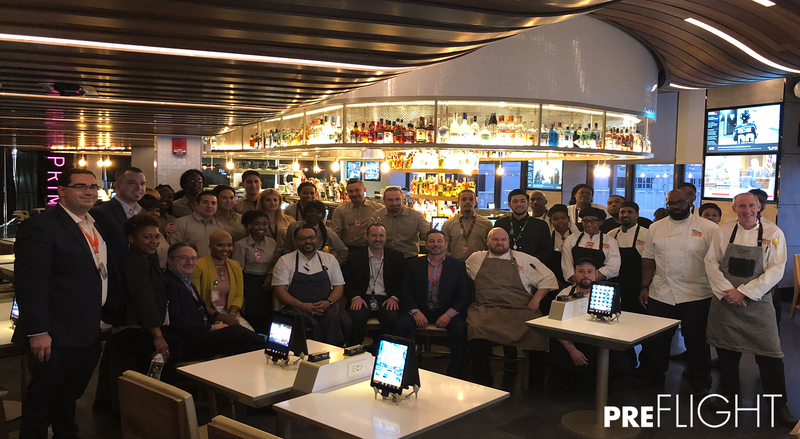 During the past couple of months, our Crewmembers have been hard at work putting together the opening of Independence Prime, a steakhouse and tavern at the center of the #newPHLB at Philadelphia International Airport. With Anatomy of a Concept, we explore all that goes into an OTG opening. There are many moving parts that must come together for a successful concept opening, with perfecting local flavors at the forefront. 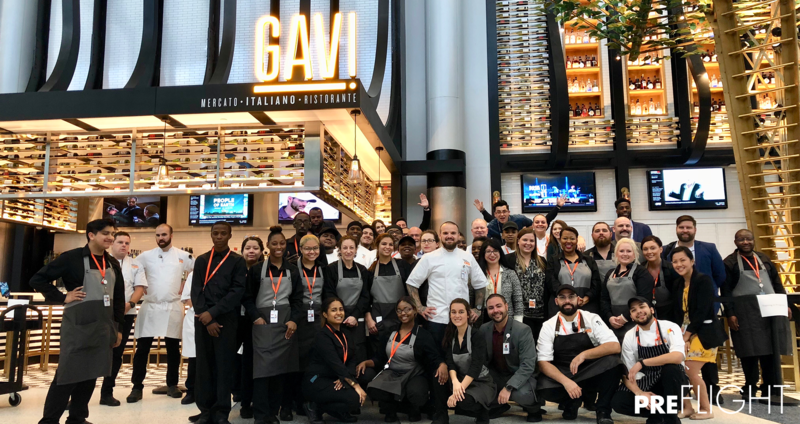 It starts with our culinary team, headed by VP of Culinary Nate Appleman, working with Philadelphia chef Kevin Sbraga and PHL Executive Chef Larry Hawks to develop a menu rooted in Philly. Once developed, our chefs spend time testing the dishes for quality and flavor, ensuring Sbraga’s vision is present with every bite. Independence Prime highlights include the grilled filet mignon and the Philly Special, a regional ode to the roast pork sandwich, made with Porchetta, Broccoli Rabe Chimichurri and Cherry Pepper Cream Cheese. Our terminals are not just a means to your destination but a gateway to the cities they serve. As such, we aim to create the most authentic experience for travelers and provide an ambience that contrasts the traditional airport experience. 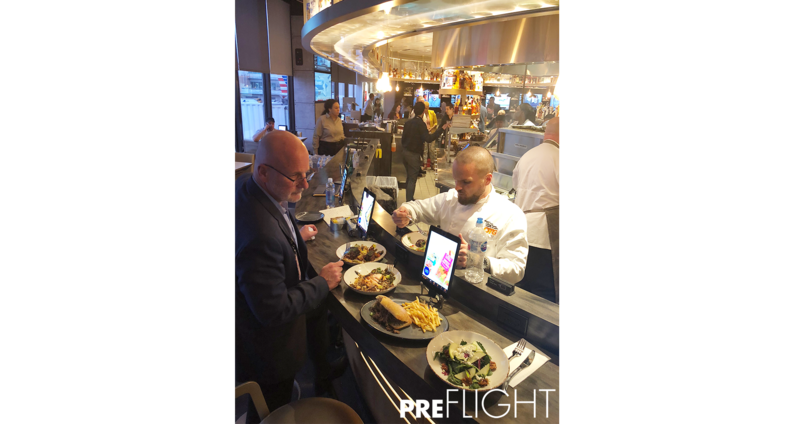 Sourcing state-of-the-art tools is essential in offering travelers the best dining experience inside an airport, and at any steakhouse the grill is key. 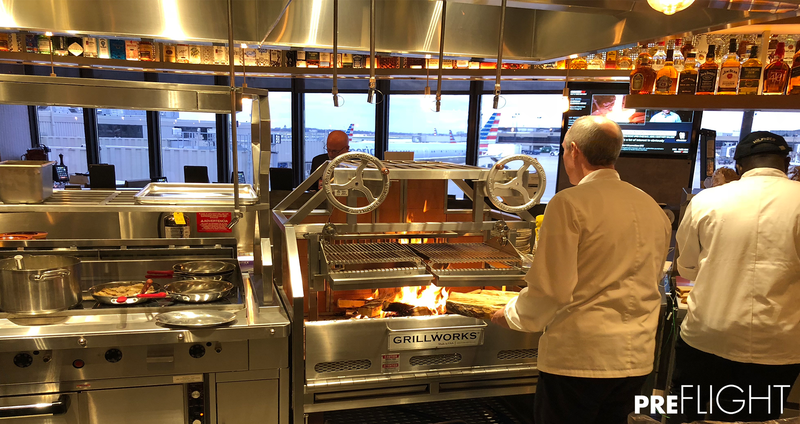 At Independence Prime, we’ve partnered with Grillworks to introduce a wood burning grill inside the terminal, with custom ventilation, that cooks up the highest quality select meats. Last but certainly not least, we allocate our best resource: our people. OTG Crewmembers continue to improve the standards of the passenger experience in airports. As part of our Discovery program, OTG Crewmembers take part in a rigorous training workshop ahead of every opening. The workshop was created by our Discovery team to ensure that the Crew has the tools to provide quality service to travelers and is equipped to demonstrate the capabilities of our flo® tech. At Independence Prime, a total of 38 Crewmembers underwent hands on training covering the following objectives: hospitality, safety, quality assurance and steps of service. All of these factors come together to provide the perfect #preFLIGHT experience for our customers. 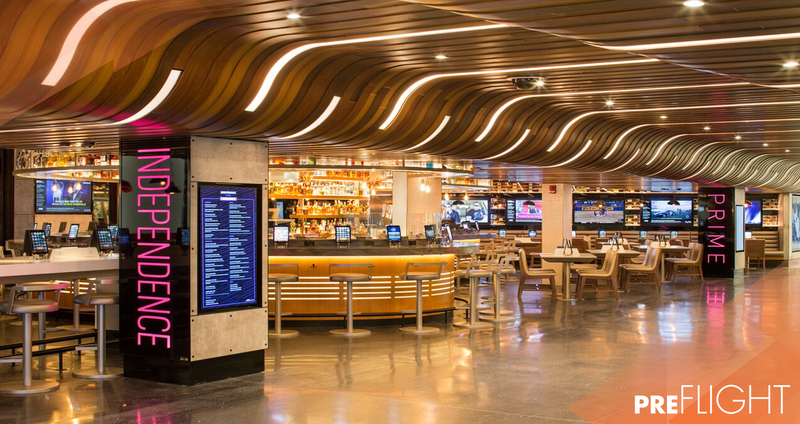 Stop by Independence Prime at PHL B to experience the end result of months of creativity, teamwork and dedication. A Look at Our Most Social-Media-Friendly Design Elements Design is a key pillar in the OTG ethos. 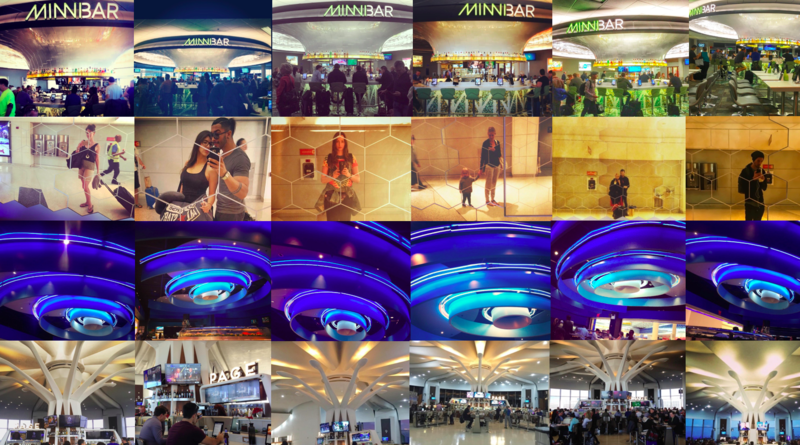 After noticing select design elements popping up on our social feed, we decided to look at our most engaging spaces and which elements passengers are sharing in their pre-flight posts! 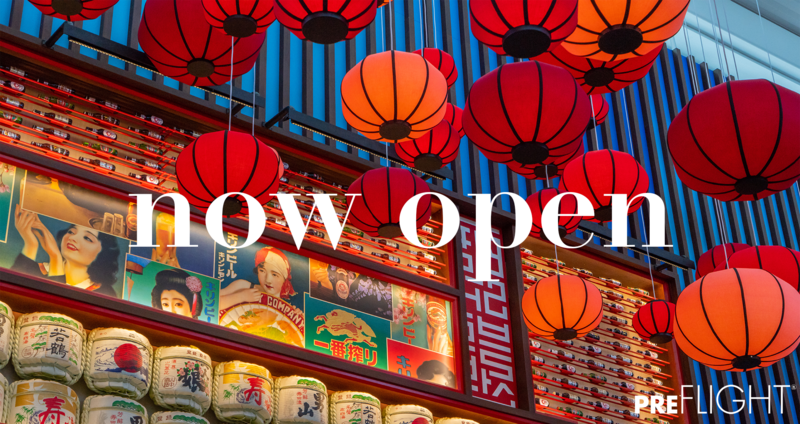 Yume has opened at IAH United Terminal E, bringing the Asian Biergarten experience to travelers.